This week seemed to fly by, didn’t it? 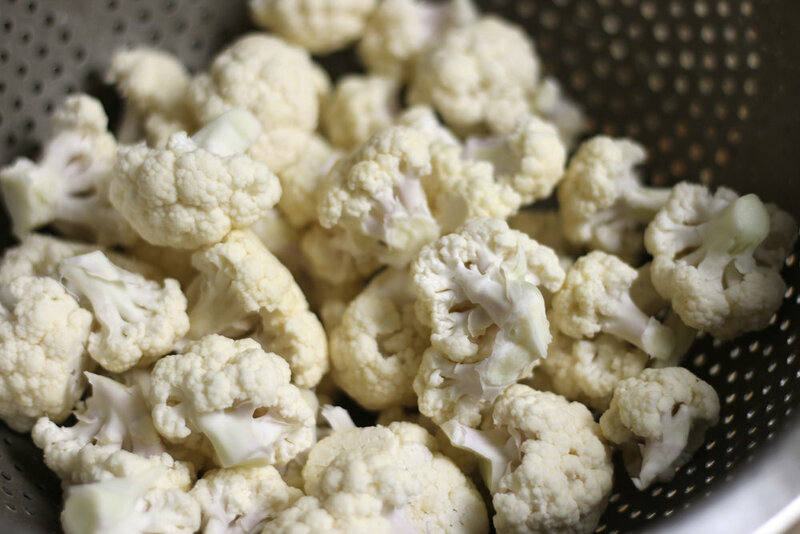 I didn’t get to the Farmer’s Market last Saturday thanks to a migraine, fortunately winter vegetables have a delightfully long shelf life so I still had cauliflower from the week before as well as some meat in our freezer to create our meals this week. On Saturday I helped throw a last minute birthday party for a good friend (hi Kelly!). My contribution was homemade baked mac n’ cheese and a chocolate cream pie. I know you want those recipes, the mac n’ cheese can be found here (note: I replace the onion with a tablespoon of onion powder for kid friendliness). The chocolate cream pie recipe is here, for this one I have made the crust in the past and it’s phenomenal, but when I’m feeling lazy I pick up an Oreo crumb crust from the grocery store. My husband Travis racked up some super spouse points this week by taking the lead on dinners. On Sunday he made hamburgers, sweet potato fries, and corn. Monday he grilled pork chops (from the Market), and I roasted cauliflower. I coat the cauliflower in 2 tbsp soy sauce, 2 tbsp olive oil, black pepper, and garlic and then roast it on a sheet pan in a 425 degree oven for 20-30 minutes. Tuesday and Wednesday I was out of the house, so Travis served up leftovers to the kids. Supposedly they ate them all. I never look a gift break from parenting in the mouth. Thursday I assuaged my mom and wife guilt with roasted butternut squash, rice pilaf, and soy-ginger-garlic-brown sugar chicken. Lest you think I’m some culinary professional, the chicken was… not great. I didn’t cut my pieces uniformly so some were overcooked to rubber, blech. 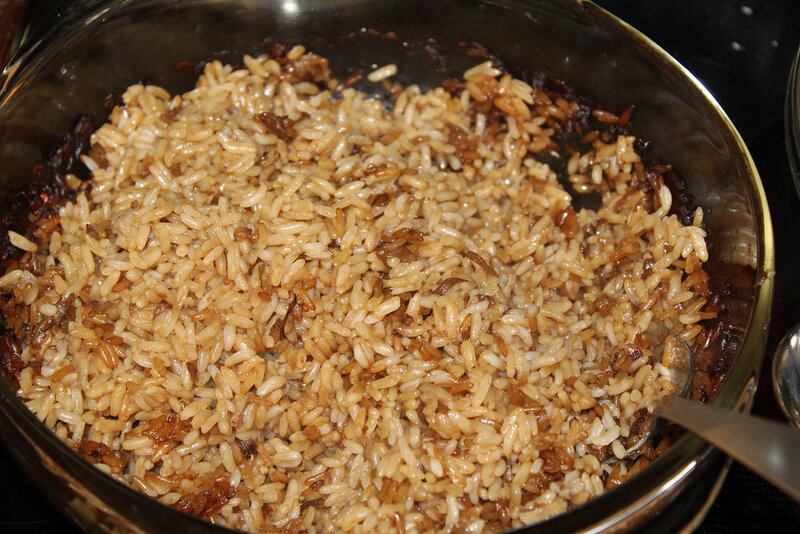 The rice pilaf isn’t authentic, per se, it’s more of a 1950s midwestern version (my source lived in Ohio for a long time…), but it’s a favorite of the husband and yummy. Combine the ingredients in an oven safe covered dish. Cook in 350 degree oven for 45 minutes, remove lid and cook uncovered for an additional 15 minutes. Tonight we’ll be roasting hot dogs over a campfire with friends. The side will likely be s’mores and chances are good there will not be a vegetable in sight. I’ll be back at the market tomorrow on the hunt for spinach, broccoli, and carrots. And let’s be honest, coffee from Good Cup and some kind of pastry. Bundle up and join me!